We make your oven sparkle! 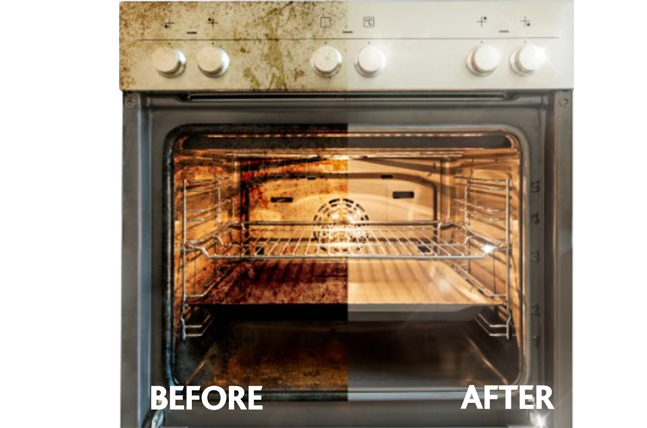 You'll Be Amazed at What Ovenclean Can Do! We can clean all kinds of Ovens, as well as AGAs, Ranges, Hobs, Extractor Fans, and Barbecues safely and efficiently! Ready to book your oven clean? Click below to go through to our quick and easy form, and your local specialist will be in touch. Do you want the opportunity to earn over £1,000 per week? Get the lifestyle you deserve and work for yourself with an Ovenclean Franchise. As Advertised on Channel 4! Have we met before? You may recognise Ovenclean from the ad break on your favourite TV shows! Ovenclean is currently the only professional oven cleaning specialist that appears on national TV. Our advert runs on a range of digital TV channels including Sky Living, Good Food, ITV Be and Watch just to name a few – so keep an eye out for us! Most recently, we were proud to feature during Jamie and Jimmy’s Friday Night Feast on Channel 4! We wish we were as good at cooking their recipes as we are at cleaning ovens! Ovenclean pride ourselves on first class service and high quality cleaning. Our smartly uniformed mobile technicians are courteous, knowledgeable and carry out professional quality oven cleans. Our friendly specialists always go the extra mile for our customers, and our customers love us because of it! Don’t take our word for it – Ovenclean has over over 250 5* reviews on Trustpilot! With Ovenclean, you can expect a courteous, reliable and friendly service from fully trained, professional oven cleaners. Ovenclean have been putting smiles on customers faces for over 20 years, and are the longest established oven cleaning network in the UK. The work is finished within hours and appliances are safe and ready to use immediately.